Citigo really does re-define what's possible with a city car - small exterior dimensions yet exceptional interior space offering ample space for four adults. Nimble, exceptionally comfortable and with high levels of equipment, Citigo has been designed to deal with almost anything that modern life can throw at it. Being a sophisticated city car, the Citigo has a choice of two new, three-cylinder, highly efficient 1.0-litre petrol engines. With excellent agility and precise handling, getting around town is a breeze. Three door versions get an 'Easy Entry' system to allow easy access to the rear seats. The front passenger's seat can be moved and folded forward to ensure easy access to the rear seats. There's a host of safety and comfort technologies available too, with a new head-thorax side airbag to protect the heads of the driver and front passenger and, for the first time in a Skoda, there's a portable satellite navigation system. The device is fitted to the dashboard, but can be removed if it's needed elsewhere. The five-inch touch-screen system also provides the car's Bluetooth hands-free phone connectivity, as well as showing important information such as onboard computer, optical signals from the parking sensors, etc. 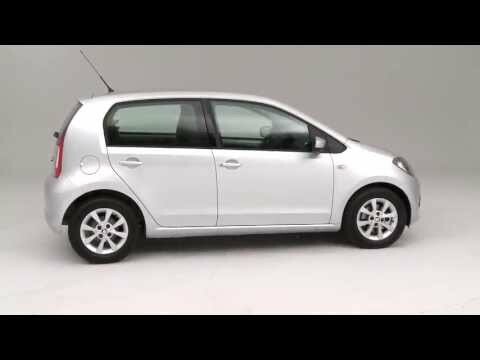 With safety in mind again, the Citigo is also available with City Safe Drive - a new braking system which uses a laser sensor that is activated automatically at speeds below 30 km/h where there is danger of a collision. It came as no surprise to us when the Citigo was named 'Best City Car' and 'Car of the Year' at the 2012 Auto Express Car of the Year. Read our independent customer feedback on this fabulous car from Reevoo.